Loreena Isabel Irene McKennitt, CM OM (born February 17, 1957) is a Canadian musician, composer, harpist, accordionist, and pianist who writes, records and performs world music with Celtic and Middle Eastern themes. McKennitt is known for her refined and clear dramatic soprano vocals. She has sold more than 14 million records worldwide. McKennitt was born in Morden, Manitoba, of Irish and Scottish descent to parents Jack (died 1992) and Irene McKennitt (1931–2011). In Morden, she developed her love for music, influenced, in part, by the musical traditions of the local Mennonite community. McKennitt enrolled at the University of Manitoba in Winnipeg to become a veterinarian. While in Winnipeg she discovered folk music, including fellow Canadians Neil Young, Joni Mitchell, and Gordon Lightfoot. At this time she also developed an interest in Celtic music and visited Ireland to hear it for herself. Developing a passion for Celtic music, she learned to play the Celtic harp and began busking at various places, including St. Lawrence Market in Toronto in order to earn money to record her first album. In 1981, she moved to Stratford, Ontario, where she still resides. McKennitt's first album, Elemental, was released in 1985, followed by To Drive the Cold Winter Away (1987), Parallel Dreams (1989), The Visit (1991), The Mask and Mirror (1994), A Winter Garden (1995), The Book of Secrets (1997), An Ancient Muse (2006), A Midwinter Night’s Dream (2008), and The Wind That Shakes the Barley (2010). All of her work is released under her own label, Quinlan Road. In 1990, McKennitt provided the music for the National Film Board of Canada documentary The Burning Times, a feminist revisionist account of the Early Modern European witchcraft trials. She and the musical team she headed would later re-record the documentary's main theme on her album The Visit, under the title "Tango to Evora." In 1993, she toured Europe supporting Mike Oldfield. In 1995, her version of the traditional Irish song "Bonny Portmore" was featured in the Highlander series, followed by the 1994 film Highlander 3: The Sorcerer. McKennitt's single "The Mummers' Dance" received airplay in North American markets during the spring of 1997, and was used as the theme song for the short-lived TV series Legacy. It also saw use in the trailer for a wide-release 1998 Drew Barrymore film Ever After. Her music appeared in the movies The Santa Clause, Soldier, Jade, Holy Man, The Mists of Avalon, and Tinker Bell. It was also featured in the television series Roar, Due South, and Full Circle (Women and Spirituality). In September 2006, McKennitt performed live at the Alhambra. The performance premiered on PBS and in August 2007 was released on a three-disc DVD/CD set titled Nights from the Alhambra. In 2008, McKennitt wrote and composed a song she titled "To The Fairies They Draw Near" as the theme song for Disney's direct-to-video animated film Tinker Bell. She also provided the narration for the film. In early 2008, she returned to Peter Gabriel's Real World Studios to record A Midwinter Night’s Dream, an extended version of her 1995 mini-album A Winter Garden: Five Songs for the Season. The album was released on October 28, 2008. Since the release of An Ancient Muse, McKennitt has toured consistently, with a European and North American An Ancient Muse tour in 2007 and another extensive tour across Canada and United States later in 2007, a tour of Europe in 2008 and a Mediterranean tour in 2009 with stops in Greece, Turkey, Cyprus, Lebanon, Hungary and Italy. On September 17, 2009, McKennitt announced that she planned to release a two-disc album titled A Mediterranean Odyssey. The first CD, "From Istanbul to Athens", consisted of 10 new live recordings made during her 2009 Mediterranean tour, including songs she had never before recorded in concert. The second CD, "The Olive and the Cedar", had a Mediterranean theme which McKennitt herself curated. It contained previously released studio recordings created between 1994 and 2006. November 16, 2010, saw the US release (November 12 for Europe) of McKennitt's latest studio album, The Wind That Shakes the Barley. Recorded at the Sharon Temple, Ontario, it consists of nine traditional Celtic songs. "Every once and again there is a pull to return to one's own roots or beginnings, with the perspective of time and experience, to feel the familiar things you once loved and love still", said McKennitt. When McKennitt released The Wind that Shakes the Barley she visited several countries to help promote the album. During the promotional tour she performed an hour-long concert in the studios of German radio station SWR1, accompanied only by Brian Hughes (guitars) and Caroline Lavelle (cello) who have long been part of her tours and recordings. This live concert was released on CD in 2011. Called Troubadours on the Rhine, the album was nominated for a 2012 Grammy for Best New Age Album. On November 30, 2012, McKennitt lent her support to Kate Winslet’s Golden Hat Foundation together with Tim Janis, Sarah McLachlan, Andrea Corr, Hayley Westenra, the Sleepy Man Banjo Boys, Dawn Kenney, Jana Mashonee, Amy Petty, and a choir, along with others, performing on "The American Christmas Carol" concert in Carnegie Hall. McKennitt's 10th studio album, Lost Souls, was released on May 11, 2018. She plans a tour to support the album's release in 2018 and 2019. McKennitt's music has generally been classified as World or Celtic music even though it contains aspects and characteristics of music from around the globe and is sometimes classified as folk music in record stores. McKennitt is occasionally compared to Enya, but McKennitt's music is more grounded in traditional and classical invocations, using literary works as sources of lyrics and springboards for interpretation such as "The Lady of Shalott" by Lord Tennyson, "Prospero's Speech" (the final soliloquy in William Shakespeare's The Tempest), the Northumbrian murder ballad "The Twa Sisters" (which inspired "The Bonny Swans" on The Mask and Mirror), "Snow" by Archibald Lampman, "Dark Night of the Soul" by St. John of the Cross, Dante's Inferno, William Blake's "Lullaby", Yeats' "The Stolen Child," "The English Ladye and the Knight" by Sir Walter Scott, and "The Highwayman" by Alfred Noyes. Before McKennitt composes any music, she engages in considerable research on a specific subject which then forms the general concept of the album. Before creating Elemental and Parallel Dreams, she travelled to Ireland for inspiration from the country's history, folklore, geography and culture. The album The Mask and Mirror was preceded by research in Spain where she engaged in studying Galicia, a Celtic section of Spain, along with its abundant Arabic roots. The result was an album that included elements of Celtic and Arabic music. According to the jacket notes, her album An Ancient Muse was inspired by travels among and reading about the various cultures along the Silk Road. Late in the 1990s, McKennitt created No Journey's End, a half-hour documentary, for American television in which she discussed the influences behind her music. No Journey's End contained excerpts from several songs from the albums Parallel Dreams, The Visit, and The Mask and Mirror It also shows live performances of the songs "The Lady of Shalott", "Santiago", and "The Dark Night of the Soul". It was later released on DVD and VHS, the former also containing music videos for "The Mummers' Dance" and "The Bonny Swans." A bonus copy of the DVD was included with the 2004 remastered versions of McKennitt's CDs. In 2008, McKennitt released A Moveable Musical Feast, based on her 2007 An Ancient Muse tour. The DVD included interviews with McKennitt, her band, crew, fans and professional colleagues from the Canadian music industry. In July 1998, McKennitt's fiancé Ronald Rees, his brother Richard, and their close friend Gregory Cook drowned in a boating accident on Georgian Bay. She was deeply affected by the event, and she founded the Cook-Rees Memorial Fund for Water Search and Safety in the same year. At the time of the incident, she was working on a live album of two performances called Live in Paris and Toronto. The proceeds from this album were donated to the newly created memorial fund, totaling some three million dollars. After the release of the live album, McKennitt decided that she would substantially reduce the number of her public performances, and she did not release any new recordings until the studio album An Ancient Muse in 2006. In 2005, McKennitt was involved in an acrimonious court case in England when her former friend and employee, Niema Ash, published a book, Travels with Loreena McKennitt: My Life as a Friend, that contained intimate details of their friendship. McKennitt argued that much of the book contained confidential personal information that Ash had no right to publish. The English courts found that there had indeed been a breach of confidence and a misuse of McKennitt's private information, and the case is likely to set important precedents in the law of England and Wales on the privacy of public figures. The House of Lords affirmed the lower court's decisions in 2007. Quinlan Road is an independent record label founded in 1985 and based in Stratford, Ontario, Canada. It is owned and operated by its sole artist, Loreena McKennitt. Quinlan Road started out at McKennitt's home where she sold recordings by mail order. Today Quinlan Road music is distributed internationally by Verve Records, Universal Music Group, Keltia Musique, and SPV GmbH. Eileen McGann – fellow Irish-Canadian female Celtic folksinger. During McKennitt's early career McGann played many of the same venues, and they appeared together on several early compilation recordings. ^ "Loreena McKennitt". Progreviews.com. Archived from the original on January 13, 2011. Retrieved March 2, 2011. ^ Alex (December 13, 2010). "Folk Radio UK". Folkradio.co.uk. Archived from the original on December 29, 2010. Retrieved March 2, 2011. ^ "A seasoned soul – 22 Jan 200". The Irish Times. Retrieved August 25, 2018. ^ "About Us – Loreena McKinnett Introduces Herself". Quinlan Road. Retrieved March 2, 2011. ^ If You Must, Label Her 'Enlightened' Pop music: Loreena McKennitt, who performs in Irvine tonight, sings ethereal material, but don't pigeonhole the harpist as New Age. ", L.A. Times, November 29, 1994. ^ Larry LeBlanc (December 24, 1994). A Breakthrough Year for Canadian Acts. Billboard. Nielsen Business Media, Inc. pp. 53–. ISSN 0006-2510. ^ "Loreena sings theme song and narrates Disney's Tinker Bell – 5 July 2008". Quinlanroad.com. Retrieved March 2, 2011. ^ "A Midwinter Night's Dream Loreena's newest recording for the winter season set for release October 2008 – 7 October 2008". Quinlanroad.com. Retrieved March 2, 2011. ^ "Loreena McKennitt – 1 December 2012". The West End Times. Retrieved May 29, 2015. ^ "American Christmas Carol Concert". broadwayworld.com. September 14, 2012. Retrieved December 2, 2012. ^ "The American Christmas Carol". goldenhatfoundation.org. Retrieved December 2, 2012. ^ "Kate Winslet attends American Christmas Carol Concert". dailymail.co.uk. December 1, 2012. Retrieved December 2, 2012. ^ "New Album Set for Release May 11th! - Loreena McKennitt". Lorrenamckennitt.com. March 8, 2018. Retrieved May 15, 2018. ^ Goddard, Peter (October 29, 1991). "The darling of old folkies and new agers plays it her way". Toronto Star. p. E1. ^ Todd, Douglas (1996). Brave Souls: Writers and Artists Wrestle with God, Love, Death, and the Things That Matter. Toronto, Ontario, Canada: Stoddard Publishing Co. Limited. p. 185. ISBN 0-7737-5832-1. ^ "Explore The Music – Live in Paris and Toronto". Quinlan Road. Retrieved March 2, 2011. ^ "Publicity-shy singer wins privacy claim". CBC News. December 21, 2005. Archived from the original on May 26, 2007. ^ a b c d "Loreena McKennitt Chart History – Canadian Albums". Billboard. Retrieved May 22, 2018. ^ a b c d e "RPM Results". Retrieved November 24, 2010. Top 50 peaks: "australian-charts.com > Loreena McKennitt in Australian Charts". Hung Medien. Retrieved July 20, 2017. 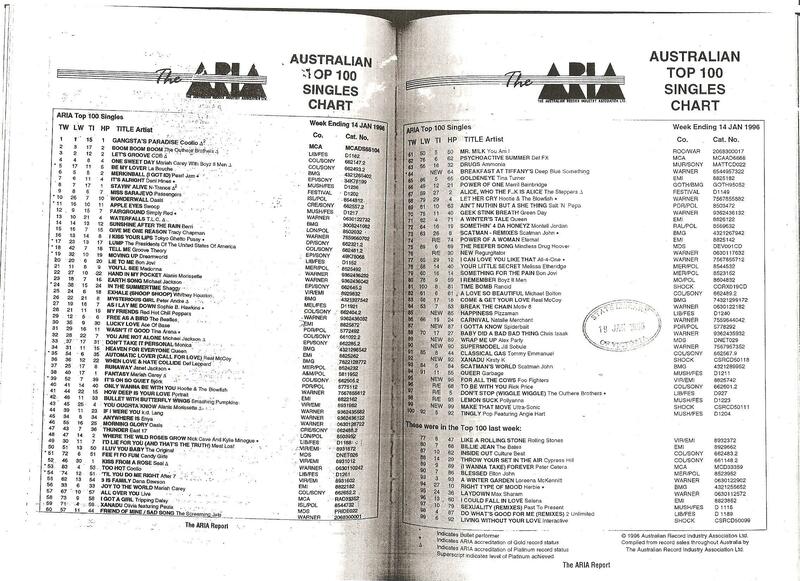 A Winter Garden: Five Songs for the Season EP: "The ARIA Australian Top 100 Singles Chart – Week Ending 14 Jan 1996". Imgur.com (original document published by ARIA). Retrieved July 20, 2017. N.B. The HP column displays the highest peak reached. ^ a b c d musicline.de / PhonoNet GmbH. "Die ganze Musik im Internet: Charts, News, Neuerscheinungen, Tickets, Genres, Genresuche, Genrelexikon, Künstler-Suche, Musik-Suche, Track-Suche, Ticket-Suche". musicline.de. Retrieved March 2, 2011. ^ a b c d "Loreena McKennitt Chart History – Billboard 200". Billboard. Retrieved May 22, 2018. ^ "ABPD - certificados". Associação Brasileira dos Produtores de Discos. Archived from the original on September 28, 2011. Retrieved August 29, 2011. ^ a b c d e "CRIA album certifications". Canadian Recording Industry Association. Retrieved November 24, 2010. ^ a b c "RIAA Gold & Platinum albums – Loreena McKennitt". Recording Industry Association of America. Retrieved November 24, 2010. ^ a b "CAPIF– Discos de Oro y Platino". Argentine Chamber of Phonograms and Videograms Producers. Retrieved August 29, 2011. ^ a b Ryan, Gavin (2011). Australia's Music Charts 1988–2010. Mt. Martha, VIC, Australia: Moonlight Publishing. ^ a b "Bundesverband Musikindustrie: Gold-/Platin-Datenbank - BETA". Musikindustrie.de. Retrieved March 2, 2011. ^ "Lost Souls - Loreena McKennitt". Loreenamckennitt.com. Retrieved June 3, 2018. ^ "Billboard chart positions - singles". Billboard. Retrieved November 24, 2010. ^ "RPM results". collectionscanada.gc.ca. Retrieved November 24, 2010. ^ a b "Explore The Music - Nights From The Alhambra". Quinlan Road. Retrieved March 2, 2011. Wikimedia Commons has media related to Loreena McKennitt.